Description: create your own live video show with a normal pc computer. plugs together lots of modules and create your own video configuration that s you can use in live gigs. virtual midi video station, designed to live audio video performer. you can VJing with it or add video midi events to your sequencer. 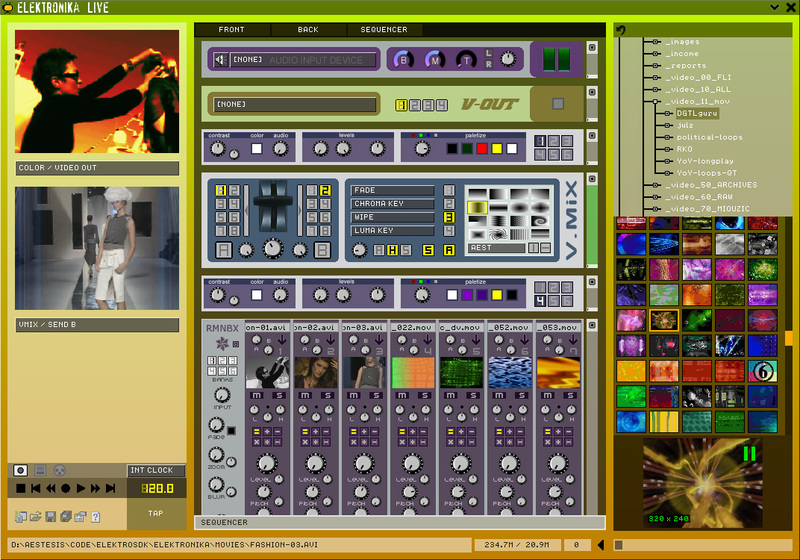 lot s of video players, mixers, renderer, 2D effects, 3D effects.